MOSCOW, Russia -- Alexey Oleinik, a native of Ukraine for over 30 years, has been banned from entering his homeland. 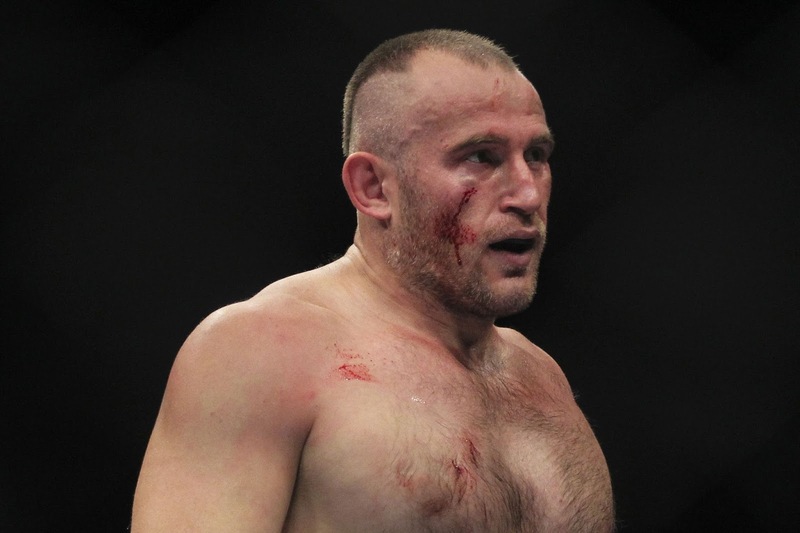 UFC heavyweight Alexey Oleinik was recently banned from entering his homeland of Ukraine. The UFC fighter, who received Russian citizenship shortly following his promotional debut, informed Russian sports outlet MK that he was no longer allowed into his country. "Actually, I only have one sentence about what happened: it is absurd. Power in the Ukraine has been illegally invaded by criminals, and now they're doing what they want. And if I can be there or not be, because I'm so there is rarely visited. It would be better if they took care of the welfare of the citizens, and brought him back at least to the level that was before. Now they are engaged in populist things, trying to make people respect evil characters." In a letter he received from the Ukrainian Ministry of Culture, Oleinik was proclaimed a "threat to national security," which he considered typical of the party in power. "When it becomes necessary, I will still go there, because it is my duty. I have buried my father, grandmother, and grandfather there. I'm flattered that [the government] noticed me." Following a submission victory against Mirko Cro-Cop at Legend Fight Show, the Russian heavyweight was signed to the UFC, where he defeated Anthony Hamilton by submission and Jared Rosholt by knockout. That second victory was nearly a year ago. Oleinik has since disappeared from the professional sphere to undergo surgery on his knee. However, during the rehabilitation stage, it became clear that the surgery was unsuccessful and he will be forced to go under the knife for second time. Perhaps not a "national security threat" but a scoundrel, nevertheless. Anyone who gives up his citizenship in one country and swears loyalty to another country that is doing everything short of declaring war against his former homeland of 30 years should not enjoy free entry back into the country he chose to discard. It is one thing to change citizenship in favor of a third country that maintains normal relations with Ukraine, quite another to join with an enemy country.